Tori James » Can you tame the Beast? 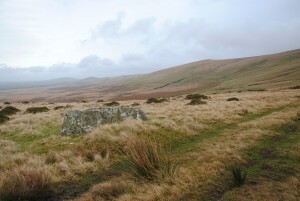 The Preseli Beast is a new event happening in Pembrokeshire (west Wales) on Saturday 27 April 2013. It’s for those of us who LOVE to run OFF-ROAD. You’ve got two options: 36km or 16km. Both start in Maenclochog. It’s being organised by a good friend and running buddy of mine, Caz Philips. I first met Caz when he offered to take my cousin Simon and I out on a training run for the notorious Tough Guy. All I can tell you is that it turned out to be harder than the actual event itself; he had us crawling up streams, bench pressing tree stumps and wading through ponds. Thanks Caz! 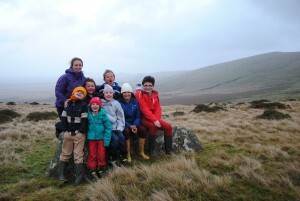 So what’s in store for the Preseli Beast? According to Caz it’s a mixture of trail, fell, wooded paths, mud, a bit of bog and some steep climbs. OK, they’re not big hills but this run is going to be stunning. I grew up in the shadow of the Preseli hills and often used to look at them from the bathroom window whilst brushing my teeth! Being up there is much better as you get a 360 degree view of Pembrokeshire. I was there on Boxing Day last year with my little cousins! The entry deadline is Wednesday 17 April so if you’re feeling fit over the Easter break (steady on those chocolate eggs) then why not send off an entry form. It’s only £15 to enter and funds raised through the event will support the local village hall. All the details are on the website preselibeast.wordpress.com and there’s a Facebook page too.